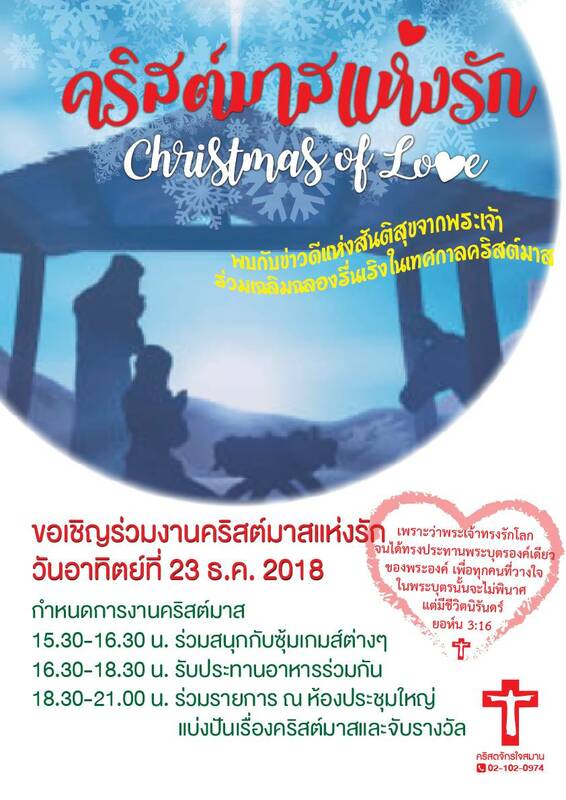 Christmas Eve Fri. Dec. 21,2018 at 7.00-9.00 pm. English service celebration Sun. Dec. 23,2018 at 5.30 – 7.30 pm.